No matter the task at hand, we can restore and sanitize your property, and leave it in an ideal condition. We are proud to service homeowners and business owners in Queens County, NY. The primary services we offer include water damage restoration, fire damage restoration, smoke and soot puffback cleaning, mold remediation, content cleaning and pack-out services, air duct cleaning, and carpet cleaning. Regardless of the service you need, we will ensure the best results in the market by utilizing state-of-the-art equipment and methodologies. We can be reached 24 hours a day at (631) 206-6808, and we respond to emergencies within the hour. 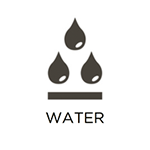 Excess water can cause significant damage to properties in a short amount of time. This is because of the porous nature of many building materials paired with the rate at which the events typically take place. Severe storms, burst pipes, overflows, and leaks are all common causes, especially in Queens County, NY. Here at RestorationMaster, we provide full water damage restoration services to combat this. We will remove all excess moisture, dry affected areas and belongings, and restore your property to its original condition. Indoor flooding is a very serious issue that can lead to significant damage in homes and commercial buildings. Your home or business can become flooded from natural causes like severe weather, or internal causes such as sewage backups and pipe bursts. Excess water quickly penetrates the building materials and furnishings, leading to serious damage and increasing the risk of mold. RestorationMaster provides flood damage restoration services in Queens County, NY to help homes and businesses recover from indoor flooding. Our technicians can effectively remove the flood water and restore the affected areas and materials. Fires are near the top of the list regarding worst case scenarios for property owners, and for good reason. They can consume entire homes and office spaces in a matter of hours, yet leave you emotionally and financially affected for years. 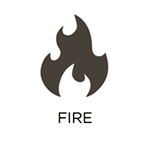 Irreplaceable belongings, furnishings, and equipment often get lost in the blaze, as well. Our RestorationMaster technicians will do everything possible to limit the extent of the damage through our fire damage restoration services. We will repair damaged structural elements of your property, and restore, sanitize, and deodorize affected belongings. We offer this service to property owners in Queens County, NY. Smoke, soot, and other corrosive byproducts are sometimes as damaging as a fire itself. This is also true in the event of furnace puffbacks. Essentially, these unwanted elements will spread throughout your home or office space to cause etching, discoloration, and deterioration in certain materials. This is why we offer smoke and soot puffback cleaning services here at RestorationMaster to property owners in Queens County, NY. We utilize professional cleaning equipment and solutions to repair and sanitize affected areas and belongings. In Queens County, NY, mold can quickly become an issue in residential and commercial settings because of the building materials commonly used in structures. Wood, sheetrock, and other elements contain cellulose, which is a food source for mold. 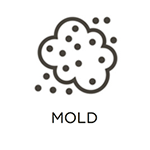 This means that the mold simply needs excess moisture in order to thrive. Once it does, it can cause significant damage to your property and belongings. Here at RestorationMaster, we eliminate mold and restore affected property through our mold remediation services. In commercial and residential settings, natural disasters, fires, mold growth, and more can cause significant damage to your property and belongings. Here at RestorationMaster, we offer content cleaning and pack-out services to address the latter. We all have personal items that hold monetary and sentimental value that can very easily be lost during a damaging event. Essentially, we will prevent this by repairing, cleaning, and deodorizing your belongings either on-site or at one of our climate controlled facilities (depending on the state of your property). We offer this service to those in Queens County, NY. HVAC systems are instrumental in maintaining proper temperatures and airflow within buildings; however, they should be professionally cleaned on a regular basis in order to ensure that they are working properly. HVAC systems, especially the air ducts, can get clogged with dirt, dust, pollen, and other debris and allergens over time. This can lead to poor air quality and higher energy bills due to a drop in efficiency. At RestorationMaster, we combat this through our air duct cleaning services. If you are a property owner in Queens County, NY, we encourage you to give us a call. Carpets are essential to keep clean because of the prestige, or lack thereof, they can bring depending on their condition. This is especially true for business owners and homeowners in Queens County, NY. This is why we offer complete carpet cleaning services at RestorationMaster. We will remove deeply embedded debris, treat stains, and leave your carpeting as good as new. We do this through our advanced cleaning equipment, solutions, and procedures (such as our hot water extraction cleaning method).